Lubricity - This describes the ability of the fluid to reduce the friction between surfaces that are under load. This ability reduces the damage that can be caused by friction. Sulfur is an Extreme Pressure (EP) Lubricant and provides a significant portion of the Lubricity found in the current High Sulfur and Low Sulfur Diesel Fuels. Lubricity is an important consideration when using low and ultra-low sulfur fuels. Lubricity can be replaced or enhanced with additives, but these additives must be compatible with the fuel and with any additives already found in the fuel. 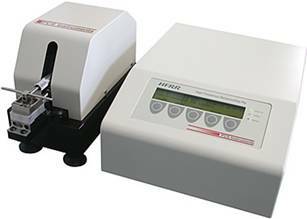 The HFRR is a controlled reciprocating friction and wear test system which provides a fast, repeatable assessment of the performance of fuels and lubricants. It is particularly suitable for wear testing relatively poor lubricants like diesel fuels and for boundary friction measurements of engine oils, greases and other compounds. The number is referred to as a ?Scar Diameter?. 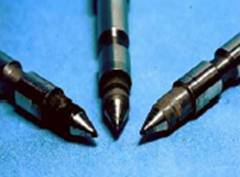 The diameter of the scar caused by testing grows larger with less lubricity. In other words the higher the HFRR number, the lower the lubricity of the fuel. The Engine Manufacturers Association (EMA) has created a specification of HFRR 460 as the suggested minimum level of lubricity for fuels used in diesel engines. This rating of 460 matches the European Union (EU) specification for diesel fuels. The specification adopted by the American Society for Testing of Materials (ASTM) of 520 which is significantly lower than EMA or EU requirements. It is reasonable to conclude that unless additional lubricity is added in the form of a fuel additive that the engine will suffer increased wear and shorter engine life. Energy Technology Group's Pinnacle Fuel Supplement and EcoFuel with Lubricity contain more than enough of a proven lubricity agent to allow #1 and #2 Ultra Low Sulfur Fuels meet or exceed all major engine manufacturer?s lubricity requirements.